I guess one thing that we should be appreciative of in regards to all this weather storm reporting is all the information that is decimated about Hurricane Florence. Just imagine the consequences of these powerful, deadly storms with none of the current technology being available? Oh, you still can get caught in the wrong place with inaccurate storm prognosis. However, the certainty of weather forecasting is improving every year. This will be essential since the storms in the future will be larger, stronger, and more deliberate with the effects of ocean waters heating up caused by global warming and elevated coastline ocean levels caused the melting polar ice caps. So stay safe out there and most definitely move inland to elevated areas if possible. 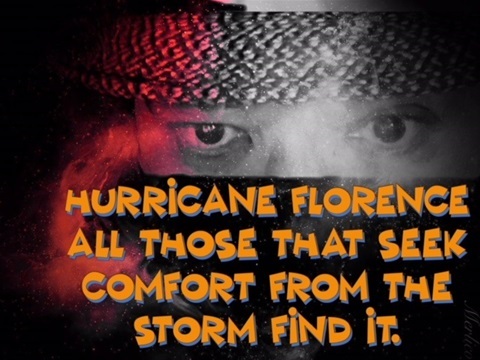 This particular storm Florence has all the deadly elements that could impact the lives of hundreds of thousands of people. It has the capacity of taking human lives in the hundreds. possibly even thousands of lives, if people don't heed the warnings. Hurricane Florence has a monstrous, continuous surge level bringing the full force of the Atlantic Ocean. Hurricane Florence has maximum winds velocities measuring over 140 miles per hour. Winds that are capable of toppling buildings and taking down poles and trees in the storm's path., Hurricane Florence contains rains that will create unheard of massive flooding. Finally, because people have inhabited areas so close to the shoreline no major environmental barriers exist to lessen the damage of the Hurricane Florence. 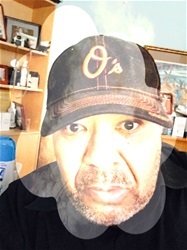 Again, stay safe, stay dry, have an exit plan available, and look out for those unable to move from the storm's path. Finally, pray that God causes a shift in the direction of storm away from its current target. 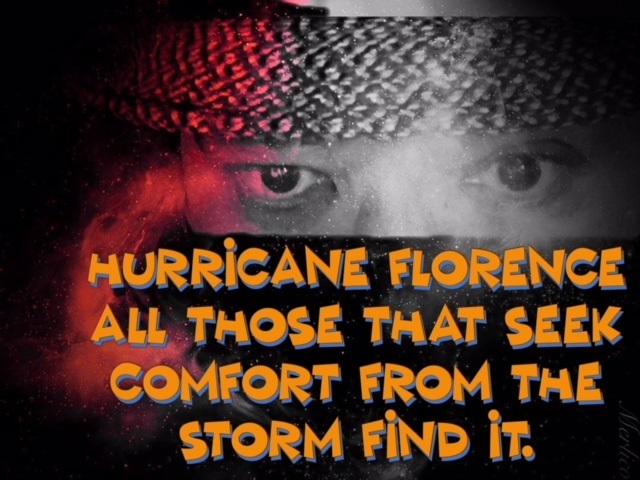 The Black Blogger asks that all those that seek comfort from Hurricane Florence find it.